Home Boating Safety	How smart are we really? I am still trying to figure out how “smart” pertains to a smart phone. Seems to me that very often the smartest thing you can do is put the darn thing down for a while. Is still remember the pressure I felt a few years back to ditch my perfectly good flip phone and upgrade to a smart phone. Is this what progress looks like? People, in a semi-zombie state, oblivious to the world around them, staring down at a small rectangular device as though they were cradling the Rosetta Stone. It disheartens me to be around otherwise caring, thoughtful people who are more focused on their phones than the folks just an arm’s length away. Scarier still, what is the message we are sending to the younger generation? A recent feature in Jacksonville Magazine attracted my attention. I am a huge fan of the magazine and have been a subscriber since moving here in 1989. It is informative, it has great articles, and tells you about everything to do in Jacksonville. My blog last week focused on the benefits of parents spending time with their children on a boat and teaching them new skills as well as appreciation for nature and the great outdoors. It is a win-win. The story in Jacksonville Magazine pointed out the negative effects – from behavioral problems to the physical ramifications — of spending too much time using digital devices. The doctor’s prescription: a full hour, or more, of exercise and active play each day. 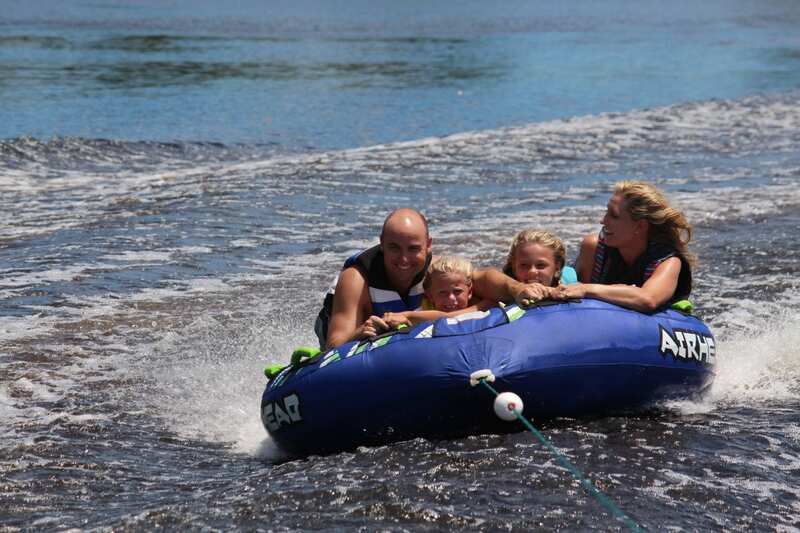 Boating is a great way for parents and children to bond, through a fun, healthy activity, that has various beneficial elements, both physical and mental. As a personal example, I think of the time I have spent boating with Callie, who is the daughter of my friend, Jeff. I know Callie has felt a sense of accomplishment and pride after learning how to help with docking and tying off the boat, etc. That type of learning is priceless. It is a sense of achievement that you cannot replicate in the virtual world, staring down at a phone. And that is what I call smart.